Is there anything cuter than a baby in a bear hat? Maybe, but I’m not convinced. 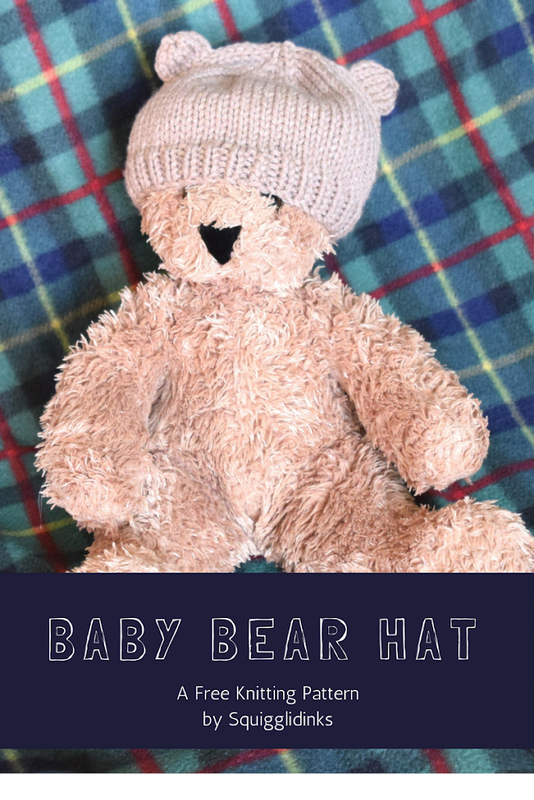 Enter the baby bear hat. It’s part of a set of small, make-it-in-a-day-or-less baby items I’m putting together as a gift for one of those blanket-blessed children. Loops and Threads Impeccable yarn from Michaels in Taupe—You can use any worsted weight yarn. This hat uses less than 100 yards (a lot less). 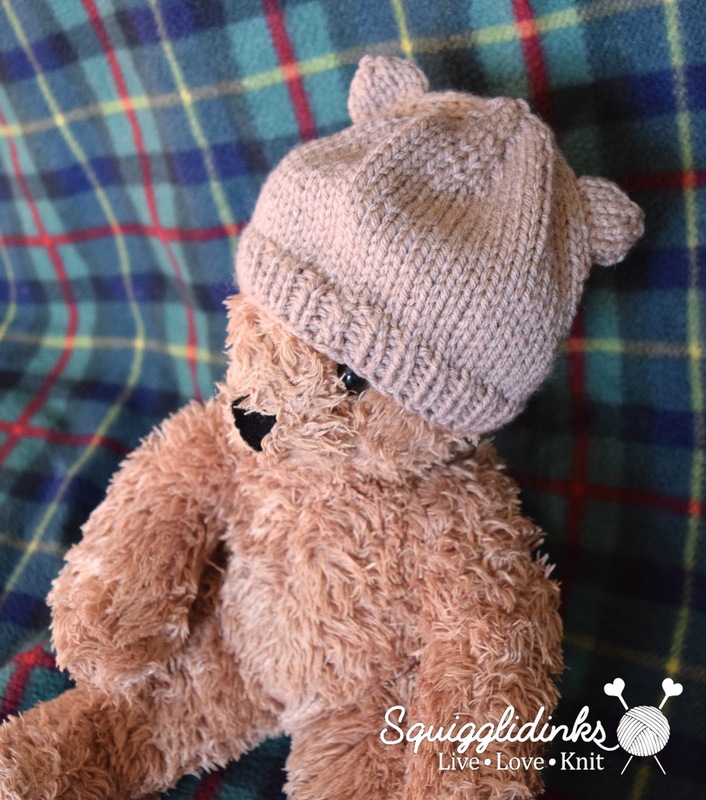 Size 8 double pointed needles (dpn)—You could use 9” circular needles for the hat, but you’d still need dpns for the ears, so I think it’s easier just to use one set of needles for the whole thing. This pattern is also available as an inexpensive, printable, ad-free PDF from Ravelry. Cast on 56 stitches. Join into a circle. Cut the tail about 6 inches from the end. Sew tail through the remaining 7 stitches, pull snug. Sew ends under. Cast on 12 stitches. (It’s easiest if you use the long-tail method because you’ll use the tail to sew the ears to the hat.) Join into a circle. 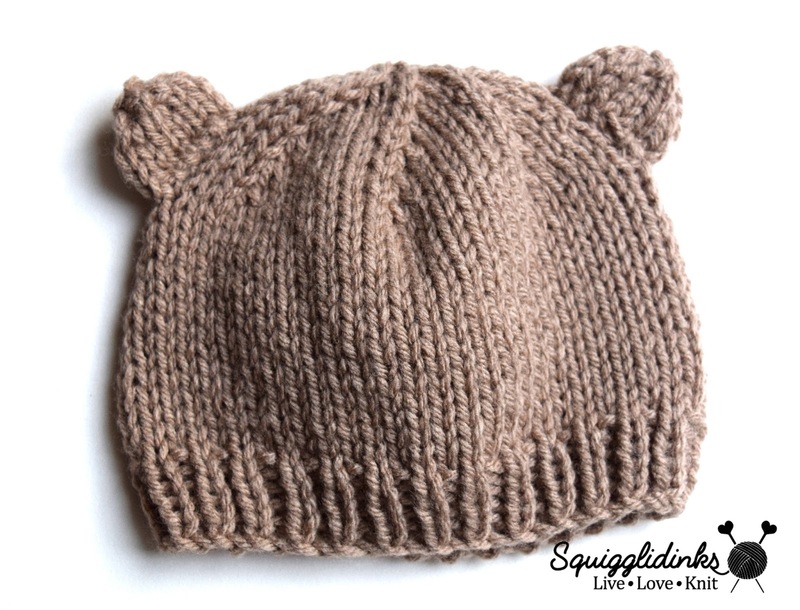 Cut tail and sew through the last 3 stitches like you did with the top of the hat. Sew top tail under. Lay hat flat. Position ears on either side of hat so that there is about 1.5” between the side of the ear and the top center of the hat. 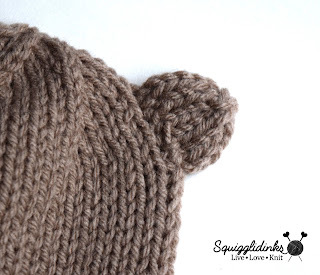 Use tails left from casting on to sew ears to hat. Finish by sewing ends under.